INDUSTRY.co.id - Jakarta - PT Bhanda Ghara Reksa (Persero), a State-Owned Enterprise (BUMN) logistics service provider continues to strengthen its business. One of them is the development of information technology with PT Telekomunikasi Indonesia (Persero) Tbk. For starters, BGR, represented directly by the President Director of BGR, M. Kuncoro Wibowo, signed a memorandum of understanding with Telkom represented by the Director of Price & Business, Dian Rachmawan at the BGR headquarters. Kuncoro explained that the scope of the synergies carried out by BGR with Telkom included the planning, utilization and development of telecommunication services and information technology that could support BGR operational and business activities. "We are trying to develop IT, the logistics business run by BGR will run effectively and efficiently," explained Kuncoro in Jakarta, Tuesday (04/09/2018). In addition, with the signing of this memorandum of understanding, it is expected that there will be a synergy between BGR and Telkom in the field of utilization of other products and services that can support the business activities of both parties. "Our logistics services, of course, can also be used by Telkom to create added value for BGR and also Telkom," he explained. Another synergy that can be done between BGR and Telkom is the use of human resources both from BGR and Telkom. Services or other products owned by subsidiaries or companies affiliated with Telkom will also be able to be utilized by BGR later. 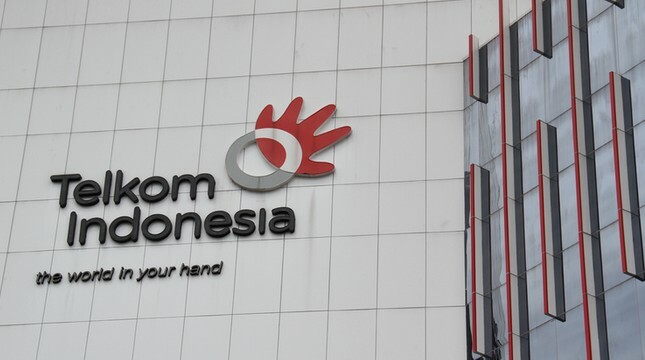 As a follow up after the signing of the memorandum of understanding, BGR with Telkom will form an Implementation Team which will prepare the Cooperation Agreement. As additional information, BGR is a state-owned logistics service provider that has integrated logistics services, ranging from distribution, warehousing, freight forwarding, collateral management service, courier delivery services, to waste logistics services.